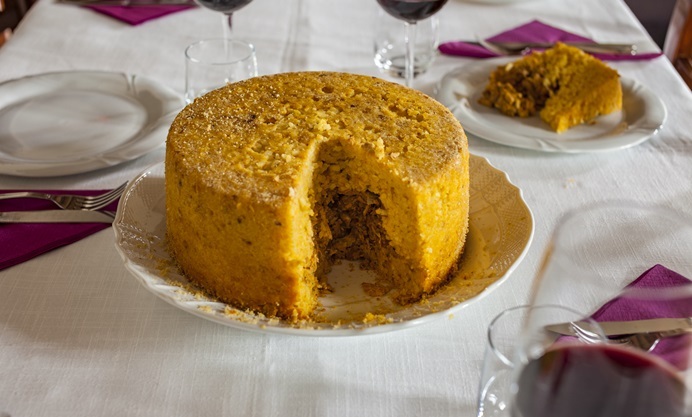 This incredible stuffed rice cake, which translates as ‘rice bomb’ from Italian, is great for sharing with loved ones and makes a dramatic table centrepiece. We have two variations to choose from – one filled with a rich meat sauce, the other packed with summer vegetables. 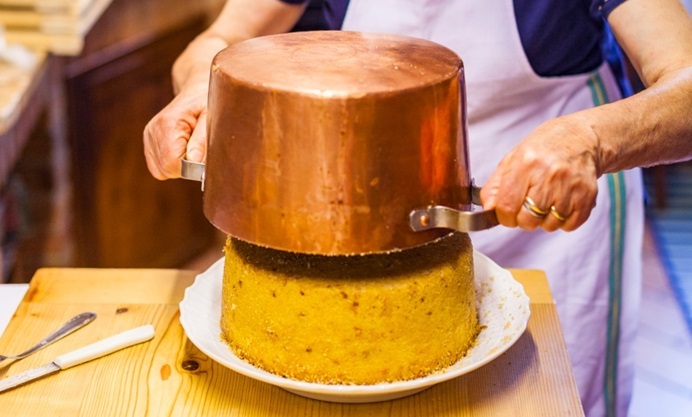 This dramatic, crowd-pleasing centrepiece is a traditional dish from the Emilia-Romagna region of northern Italy, particularly mountainous areas such as Calestano, where I recently visited. 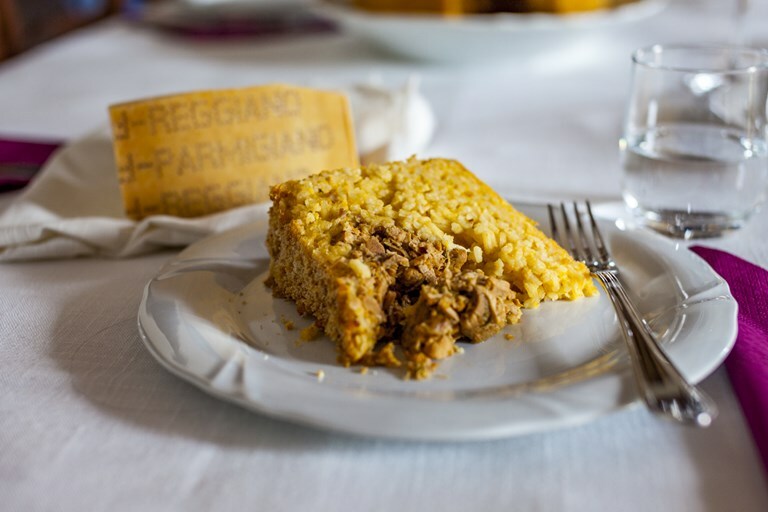 Laden with risotto rice, eggs and the local Parmigiano Reggiano, it is typically stuffed with a long-simmered meat sauce – this recipe uses veal, pork, beef and chicken – and is a feature of the cold winter months. 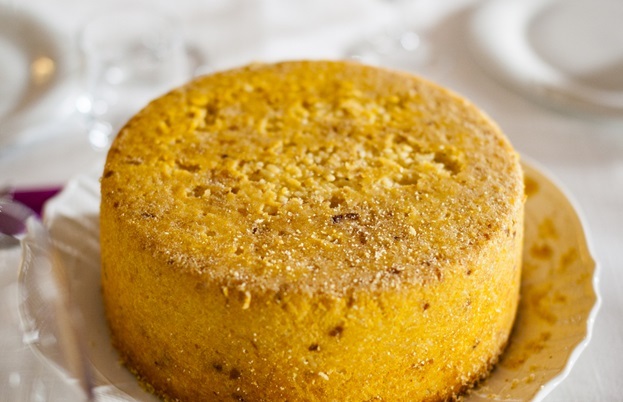 I have also secured a vegetable version, so vegetarians such as myself don't feel too left out – Adriana was gracious enough to prepare a whole separate vegetable bomba di riso exclusively for me when I visited. The meat version takes several hours to prepare, but most of that is hands-off simmering or baking. The vegetable version comes together much more quickly, though it still requires the same hour-long bake. 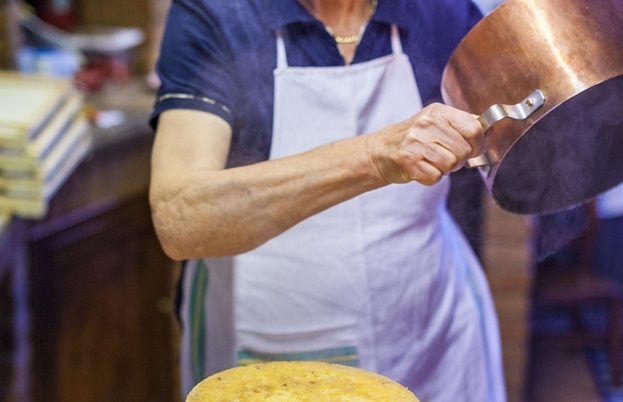 Like one of the other recipes I brought back from the region, Agnolotti stuffed pasta with potatoes, Parmigiano Reggiano and black truffle, I was taught this dish by accomplished home cook, Adriana Salsi. 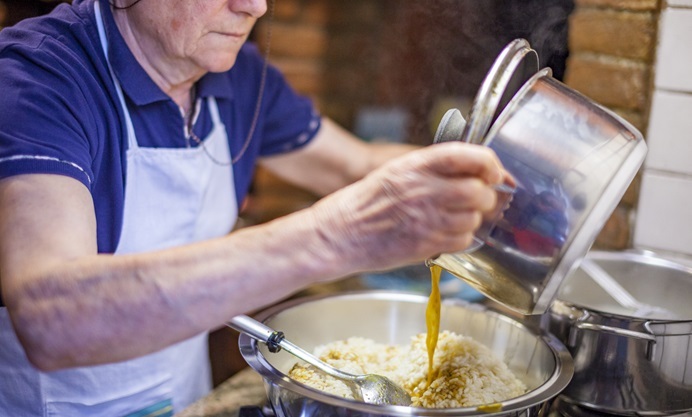 Welcomed into her home with extraordinary hospitality, she took me through exactly how to execute this wonderful meal, including how to reveal the bomba di riso with style and aplomb, and how disparate family members can be drawn to the table with the promise of remarkable food. 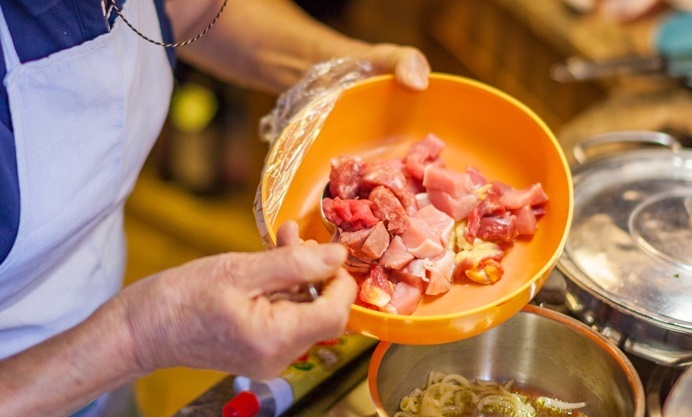 The gelatine found in veal meat adds body to the meat filling, while the pork brings richness. The other meats – beef and chicken – ramp up the flavour. Instead of browning the meats beforehand, they are added straight into liquid, resulting in meat that is more tender, with less toughness and chew, falling apart appealingly in the mouth. Rich, but not overpoweringly so, thanks to the addition of acidic white wine, there are many layers of flavour, built up over more than three hours of delicate simmering. The cut of veal used in this dish is similar to that used in a traditional ragù – not too fatty. 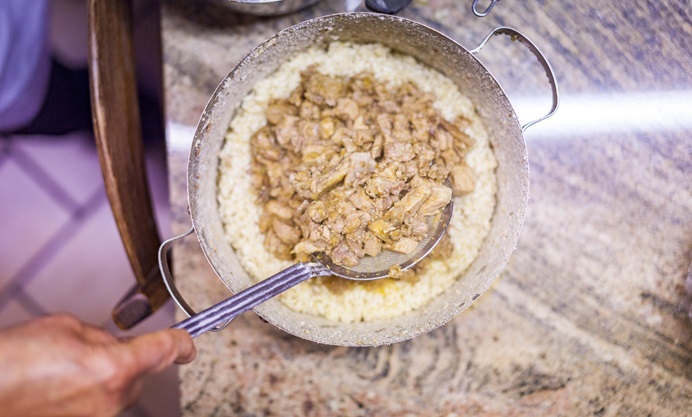 The sauce used as the filling is very similar to a ragù, but the pieces of meat are larger for the bomba filling. 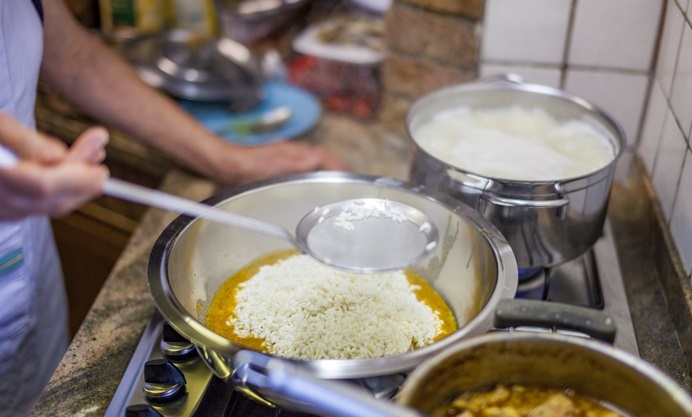 Also, more water is used to cook the meat, creating a flavour-packed broth to season the rice with. The vegetable option uses a variety of summer vegetables, simmered with seasonings and plenty of butter and olive oil. You can vary the types of vegetables used, or can opt to showcase just one vegetable – mushrooms would be an excellent choice. The type of pan you use is important here. 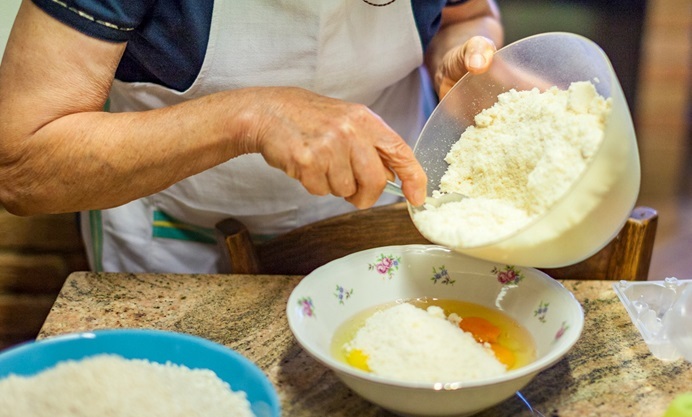 It should be heavy, to ensure the bomba di riso cooks evenly and the rice forms a good crust. It should also be as non-stick as possible. 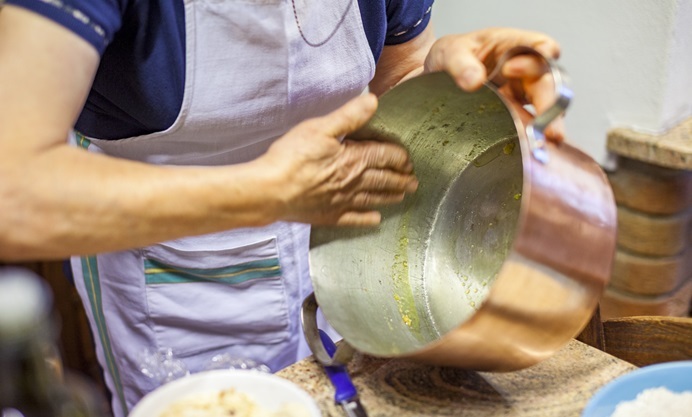 Adriana used an ancient copper pan lined with tin, but a modern alternative can be substituted. 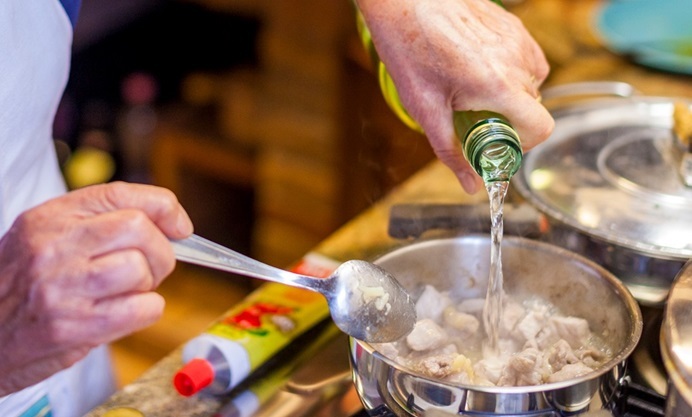 Whatever kind of pan you choose, make sure the coating of of olive oil and breadcrumbs inside the pan is very thick – there are very few things that are more depressing than spending hours crafting each flavourful component, then having your bomba stick. 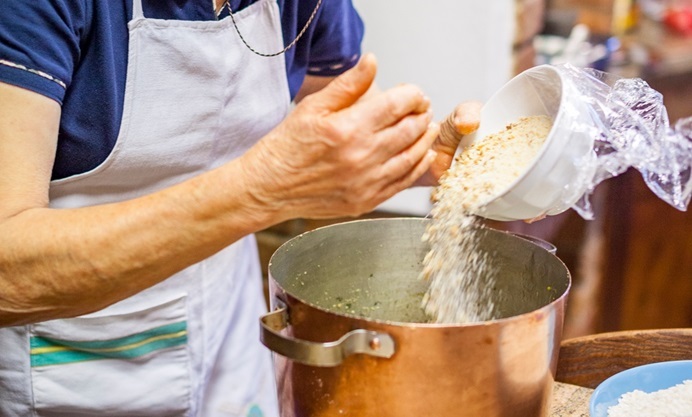 Lastly – and importantly for a dish with lengthy prep time – your bomba di riso can be made ahead. In fact, it benefits from the cooling and reheating process, the flavours becoming more concentrated and the rice becoming more solid. A dish to bring people together, all filled with delighted expectation of your bomba – whichever version you choose. All images courtesy of John Holdship unless otherwise credited. 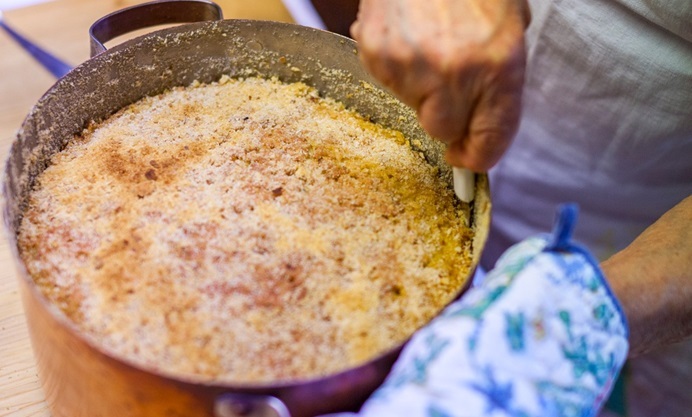 Bring a large pan of water to the boil and crumble in the vegetable stock cube. When the water is boiling, add the rice and cook for about 10 minutes or until it is almost done, but still has some bite.